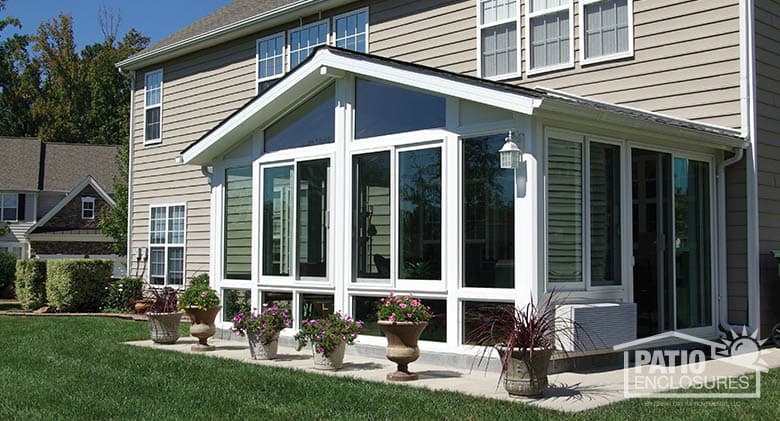 A sunroom is the perfect solution for adding functionality, value and space to your home. Sunrooms not only provide numerous sources of enjoyment, but will also increase the value of your home without putting a big dent in your pocketbook. Sunrooms are affordable, as they are by far one of the most cost-effective home improvement projects. This affordable addition offers numerous options that will greatly benefit your home. Sunrooms have the potential to offer much more than a garage or traditional addition, with openness and visibility being two main factors. Besides being more cost-effective than traditional additions, sunrooms offer more versatility and are easier to maintain. Whether you add a Patio Enclosures three season or four season room to your home, you’ll be able to enjoy various benefits. A three season room is typically built for use during spring through fall and is usually not heated. A four season room can be used during all four seasons. The four season room comes with insulated glass and has a thermally broken frame so you can heat and cool the room more cost effectively than a three season room. Either choice will expand your home’s usable square footage. If you’re seeking to use your sunroom during the warmer months, a three season room will suffice. If you’d like to use your space year-round and live in a cooler climate, it’s best to select a four season room, as it is enclosed with double-pane insulated glass, thermally broken walls and can be heated and cooled. 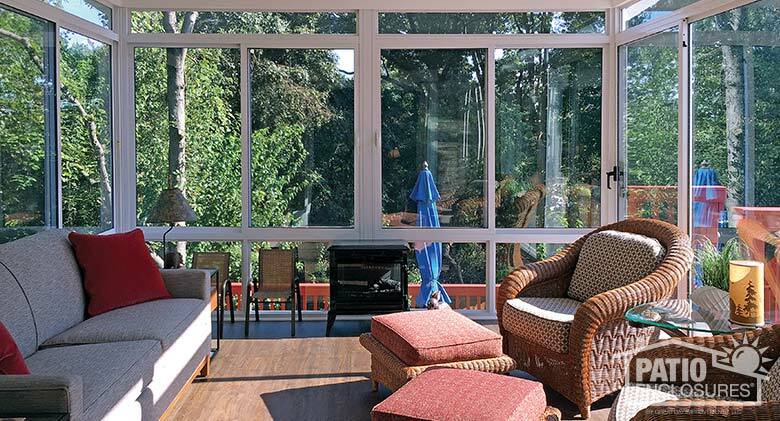 Sunrooms are a perfect choice for those who are looking to add space that can serve a variety of functions. Sunrooms provide a perfect breakfast area, especially when the sun is shining. Gather your friends and family and enjoy your meals in the most pleasant room in your home. Have a guest staying overnight? A four season room easily converts into a guestroom during any season. If you have children or grandchildren, sunrooms make excellent play rooms as well. You can design the room in a way that will give your children a perfect place to play while not cluttering your current space. Sunrooms can also make a perfect TV room. Add a large table, television and comfortable furniture, and you will be able to spend time alone or with friends and family while watching your favorite programs. Are you fit and active and in need of a dedicated exercise space? Create more usable space in other areas of your home by moving your existing exercise equipment into your new sunroom. You will get a fresh, new space to exercise. You’ll be able to work out without having to contend with cold weather, harsh elements or bugs. If you‘ve had the desire to maintain an herb or container garden, but could not because of the harsh weather, a sunroom will provide you with an opportunity to do so. There will be ample sunshine in your sunroom, and you can maintain a consistent temperature year-round. Just purchase some containers and herb boxes with which to grow your plants, herbs and flowers, and you’ll have your very own green space indoors. Add glass roof panels to your sunroom to allow maximum light overhead. 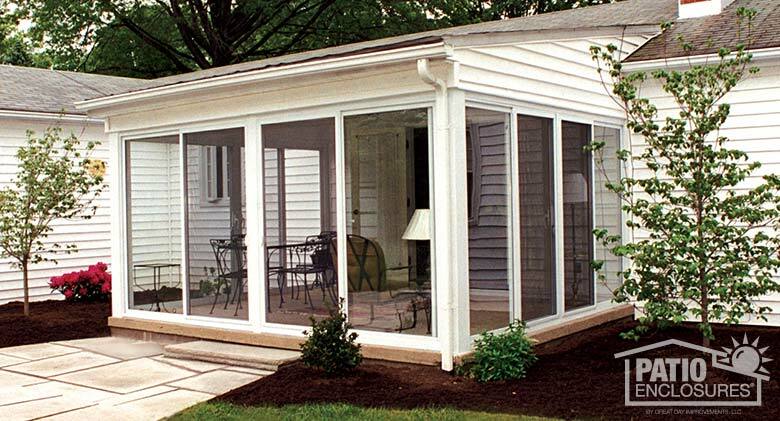 Sunrooms are a versatile, useful and affordable choice for anyone who wants to add more living space to their home. Sunrooms are cost-effective to build and maintain, making them a suitable choice for any homeowner. They are an extremely effective way to add living space to your home without the high costs involved with a traditional home addition and installation time is typically a fraction of what it would take to build a traditional home addition. 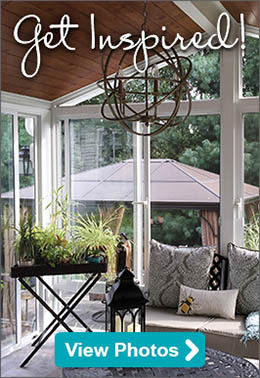 Adding a sunroom is a wonderful way to bring more space, light and joy to your home. Are you ready to add more living space to your home? Schedule your free, in-home estimate today!